Joyce Elizabeth Mary Langdale was born on 25 April 1898.2 She was the daughter of Colonel Philip Joseph Langdale and Gertrude Lysley Derriman.1,2 She married, firstly, Henry Edmund Fitzalan-Howard, 2nd Viscount FitzAlan of Derwent, son of Edmund Bernard Fitzalan-Howard, 1st Viscount FitzAlan of Derwent and Lady Mary Caroline Bertie, on 9 May 1922.1 She and Henry Edmund Fitzalan-Howard, 2nd Viscount FitzAlan of Derwent were divorced in 1955.1 She married, secondly, William Thomas George Wentworth-Fitzwilliam, 10th Earl Fitzwilliam, son of George Charles FitzWilliam and Daisy Evelyn Lyster, on 3 April 1956.2 She died in June 1995 at age 97. Her will was proven (by probate), at £25,232,890 net. From 9 May 1922, her married name became Fitzalan-Howard. After her marriage, Joyce Elizabeth Mary Langdale was styled as Viscountess Fitzalan of Derwent on 18 May 1947. From 3 April 1956, her married name became Wentworth-Fitzwilliam. 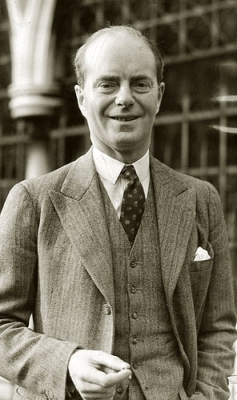 William Thomas George Wentworth-Fitzwilliam, 10th Earl Fitzwilliam was born on 28 May 1904. He was the son of George Charles FitzWilliam and Daisy Evelyn Lyster. He married Joyce Elizabeth Mary Langdale, daughter of Colonel Philip Joseph Langdale and Gertrude Lysley Derriman, on 3 April 1956.2 He died in 1979. He gained the title of 10th Earl Fitzwilliam, co. Tyrone [I., 1716]. [S21] L. G. Pine, The New Extinct Peerage 1884-1971: Containing Extinct, Abeyant, Dormant and Suspended Peerages With Genealogies and Arms (London, U.K.: Heraldry Today, 1972), page 139. Hereinafter cited as The New Extinct Peerage. After her marriage, Adelaide Blennerhassett was styled as Viscountess Guillamore on 23 July 1853. From 23 July 1853, her married name became O'Grady. [S3830] Marie Worth, "re: Gaskell Family," e-mail message to Darryl Roger LUNDY (101053), 8 July 2009. Hereinafter cited as "re: Gaskell Family." Alexander Cunningham held the office of Chief Commissioner at Rio de Janeiro.